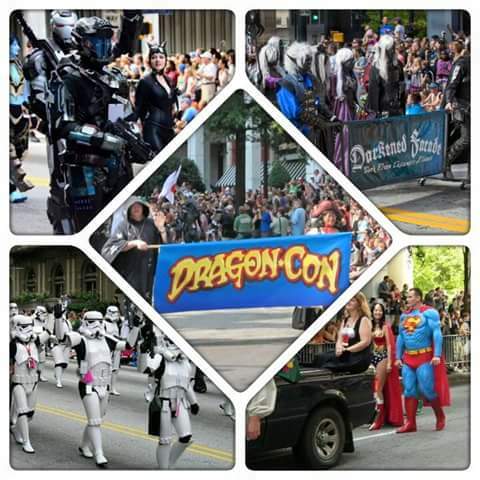 The Dragon Con Parade is on Saturday, September 5 and starts at10:00 a.m. The route starts at Peachtree Street NE & Linden, then runs south along Peachtree Street NE and it will end on Peachtree Center Avenue between John Portman Boulevard and Baker Street. up new website or perhaps a weblog from commence to end.